"It’s really not optional at this point," Willness said. "We must be concerned about environmental, social and economic aspects of organizations and communities. We must adopt a holistic view and recognize our interconnectedness. It’s a really positive thing to see our university striving toward these goals authentically and creating a foundation from which we can live our stated values." "Sustainability is a core piece in the new Mission, Vision and Values, and will be one of the themes or principles in the upcoming campus master plan," Willness said. "These are prominent and compelling commitments by our institution. The president has consistently rein- forced a commitment to reconciliation, which is a critical part of any conversation about sustainability, community and social justice." "Earlier this year we achieved a silver rating through the STARS program—three years ahead of our goal—and we’re already well on our way to achieving gold," she said, adding that the university’s goal is to reach the gold standard by 2020. "Only about half of the U15 institutions participate in this program, so it’s great to see us achieving these important benchmarks and progressing so quickly, because of a strong commitment that we not only talk about, but commit to enacting as well." 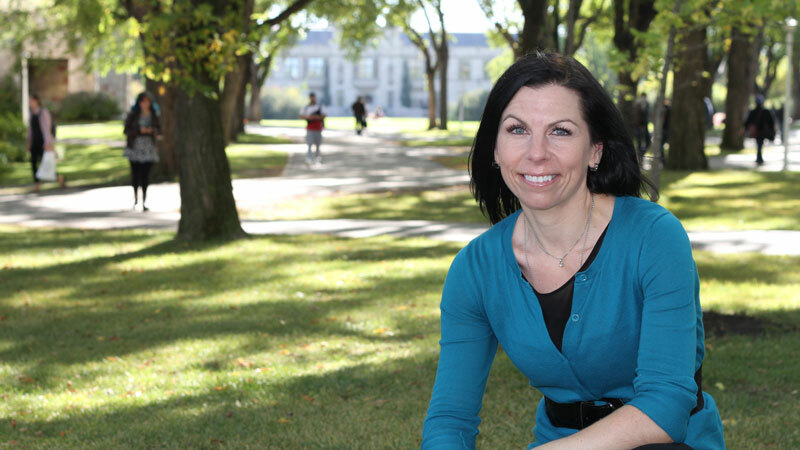 "We are looking at building a broader engagement strategy that is connected into the ecosystem of our community," she said, explaining that potential partnerships with the City of Saskatoon are just one idea that is being explored. "Community engagement is something that we will be focusing on, and I’m really looking forward to helping us move in that direction."